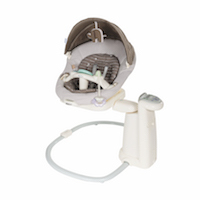 The world’s most reputable brand of baby gear has now arrived in Australia – Graco Baby. The Graco brand of baby gear provides thoughtful, practical and dependable parenting solutions inspired by the instincts and best intentions of a loving parent. After carefully observing a parent’s natural instincts to protect, nurture, comfort and soothe, Graco brings them to life in a broad range of innovative products, from strollers and car seats to high chairs, playards, monitors and more. Be the first to see the range at our first Australian launch and take advantage of the introductory offers. 18 months of hard work later, the world’s first wind-up infant swing, the Graco Swyngomatic®, was born. 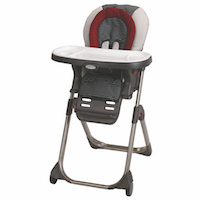 Graco was in the baby-products business. Everyone knew they had a hit on their hands, and an enthusiastic Graco salesman predicted that 10,000 of the swings would sell. But no one predicted that Graco would sell not 10,000, but millions of Swyngomatics in the coming years, becoming one of the world’s leading manufacturers of juvenile products in the process. From then on, whatever category it entered, Graco set the standard: the firm’s Pack N’ Play® Portable Playards, designed by Nate Saint, the son of the Swyngomatic’s inventor, was introduced in 1987, and achieved the same kind of success as Graco’s wind-up swings. The Pack N’ Play is now found in millions of homes across North America. Graco raised the bar further when it introduced the Travel System, the first product that allowed you to quickly click a car seat into and out of a stroller, making life easier for mom and dad by allowing them to move a sleeping infant from house to automobile to stroller without waking the little one up. Babykish is the distribution centre of Graco Children’s Products Inc. for Middle East, Africa, Asia, Australia and part of Europe. Offices in Dubai, Hong Kong, Shanghai, Paris, Melbourne, Istanbul and Tunis are established to make readily available a wide range of Graco products including the U.S. and EU Graco Collections, just for you. The newest of our distribution centres has been established in Brisbane, Australia to ensure Aussies can now buy their favorite Graco products, through local specialty retailers.